These beautiful homes have been restored to reflect traditional Moroccan décor, yet to also provide guests with many of the modern amenities found in 4 and 5 star hotels. As you approach a riad from one of Morocco’s narrow, labyrinthine streets, you will likely notice that each door in the grey stone and plaster walls looks fairly similar. The doors are usually made of a carved wood with a tiled step entrance. Some doors may have their own personality; some boast large, handcrafted knockers while others are decorated with large rounded nail heads. When you open the door to a riad, you will enter into a hallway that does not yet permit you a glimpse into the heart of the house. This ‘layered’ effect of walls, doors, and hallways is both a historical privacy feature for the residents of the house (allowing the outside door to be open to the public, while offering protection for those within) and also creates a sound barrier against the noise of the streets. And as you walk through the hallway of a riad, you are greeted by the burst of sunlight filling a central courtyard or garden area. This courtyard is the heart of the house and all of the rooms and stairways are connected to it. In most riads, the courtyard is left open to the sky, which permits fresh air and sunlight to enter. 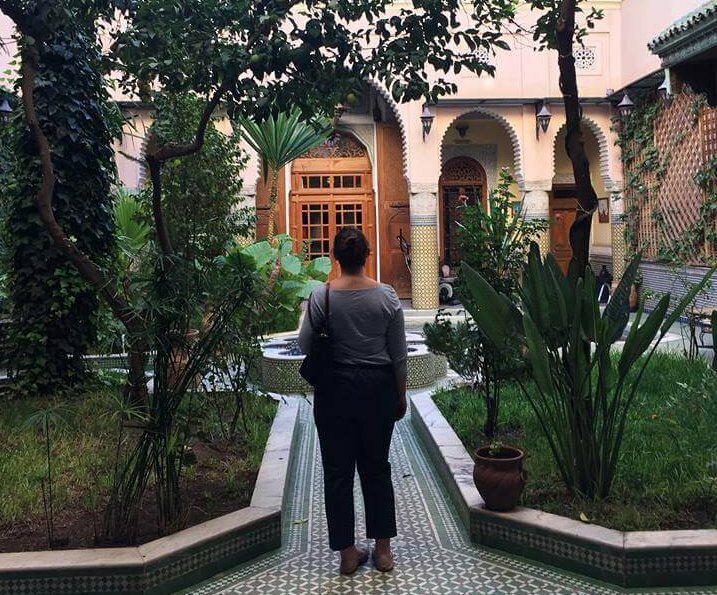 Some riad courtyards are filled with orange, lemon, or olive trees and plants of many varieties, while others may be centered on a tiered, tiled fountain surrounded by potted plants. Some of the larger riads have small swimming pools within the courtyard space. 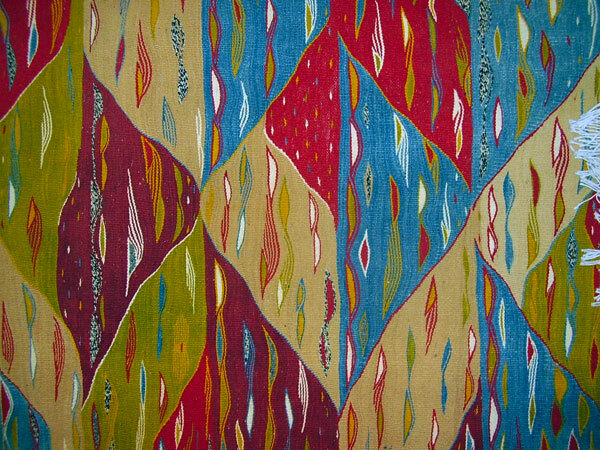 Traditional riads are restored using local technique and time-honored design. The floor and walls are tiled with traditional zeliej. Zeliej are small, colored tiles, which are hand-cut and fitted together to form an intricate geometric pattern or design. The elaborate, white plasterwork is formed by hand as it is mounted on the walls. Many riads are also decorated with cedar woodwork: massive doors and balconies painstakingly hand carved with minute details that captivate the eye. In addition to the spacious central courtyards and inviting shared rooms, most riads are made up of six to eight bedrooms of traditional design with en suite bathrooms. Each bedroom is a unique size and shape, with its own distinct features. Often the rooms are decorated in their own style, giving each one a distinctiveness that makes your stay one of a kind. The design and architecture of riads is such that the rooms are positioned to accentuate the beautiful central courtyard. 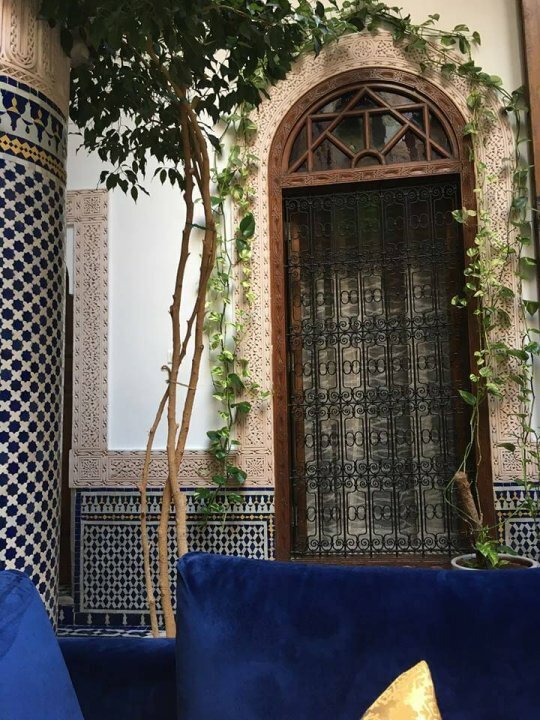 So, instead of having the windows face the outside streets, the rooms are centered around the middle of the riad, opening up to the courtyard which lets in light and peacefulness. Since the streets of the old city are often full of noise and busy city life, this access to an inner sanctuary can give you the breath of fresh air you’ve been needing after a long day of adventures! 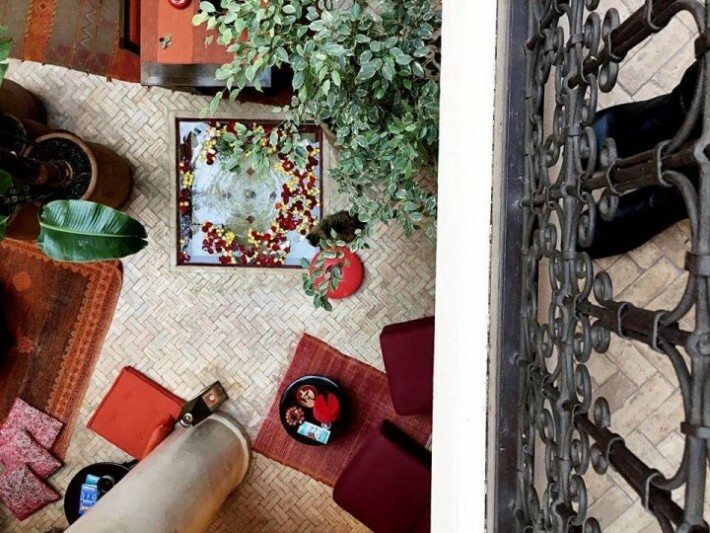 But, while some riad rooms are positioned to open onto or overlook the central courtyard, those situated on the higher floors may look out over the city, some may boast access to the riad’s rooftop terrace. Moroccan riads are rather infamous for their narrow, winding staircases, which most often lead from the riad’s courtyard and shared spaces to the bedrooms located in the higher floors. Throughout your stay at a riad, you will enjoy the attentive, personalized service by the riad staff. As most riads are quite small, the hospitality is intimate. 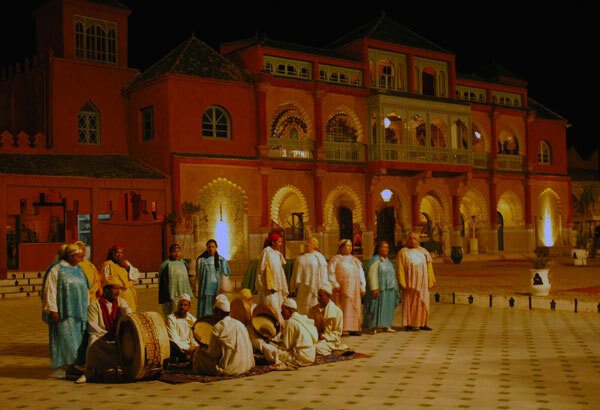 It is not unusual for the riad’s owner or manager to greet you upon arrival. It’s also common for the staff to offer you a welcoming glass of mint tea and sometimes some accompanying traditional Moroccan cookies. 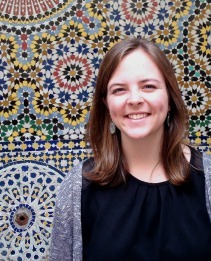 These are only a few examples of the warm Moroccan hospitality you will experience during your riad stay. Styles of riads vary, as each riad is decorated to the satisfaction of the owner. The majority of Moroccan riads today blend the beloved traditional design elements of zeliej (tile work), plasterwork, and cedar features with Art Deco era or more modern accents. Some riads provide more modern amenities than do others. The larger and more luxury riads will commonly have a traditional Moroccan spa or “hammam”, with options for facials, massages, and more! 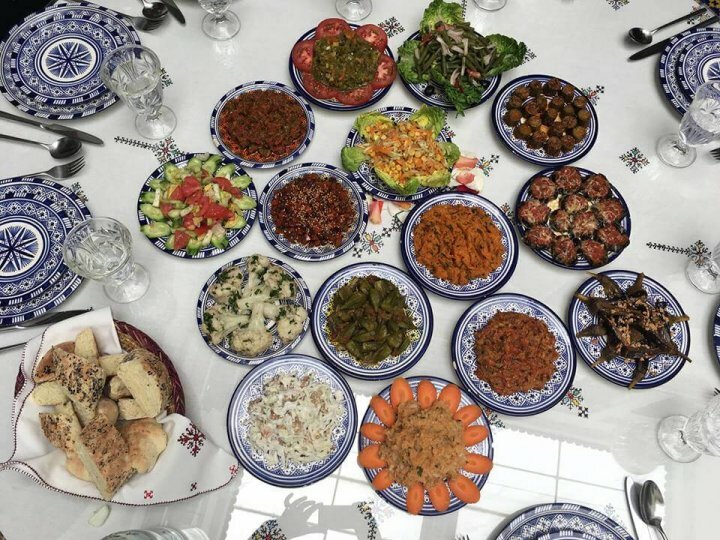 The food at riads is also usually very delicious – we highly recommend dining at a riad at least one night of your trip in Morocco! 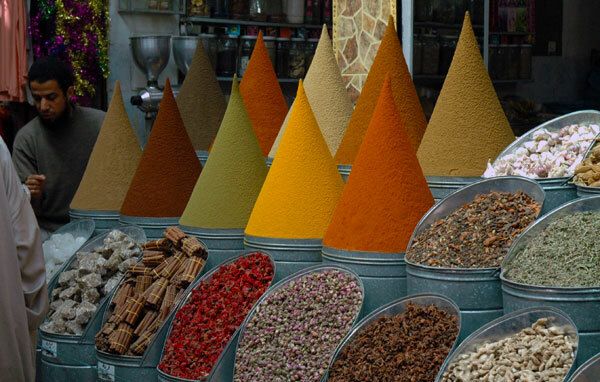 All riads do, however, retain one thing in common: they are places of peaceful beauty and authentic Moroccan hospitality. 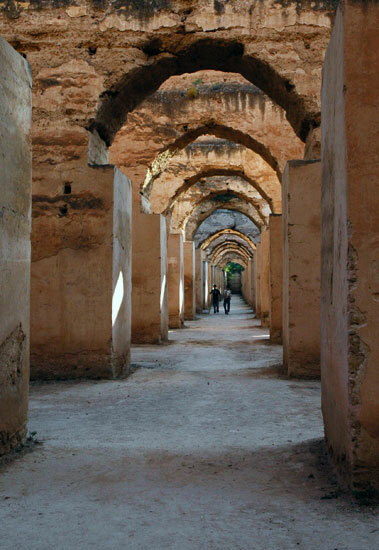 Riads are some of Morocco’s best hidden treasures. Staying in a riad is a unique experience that you won’t find anywhere else. Since they have become so popular in recent years, we recommend planning your stays early, far enough in advance that you can get your first or second choice of accommodations. 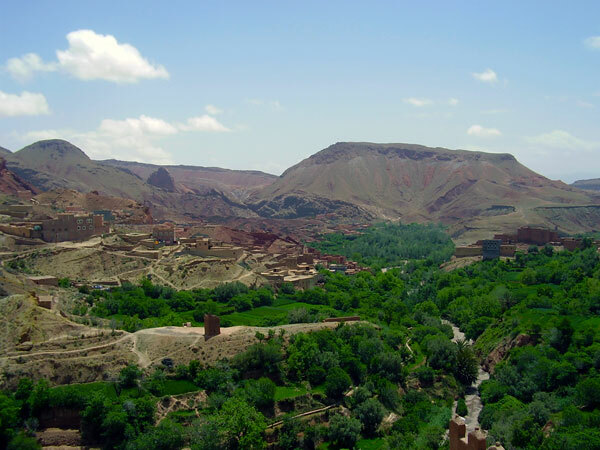 Spring and Fall in Morocco are particularly busy, with the weather ushering in the ideal time frames for visitors to get the most out of the Moroccan vacation. 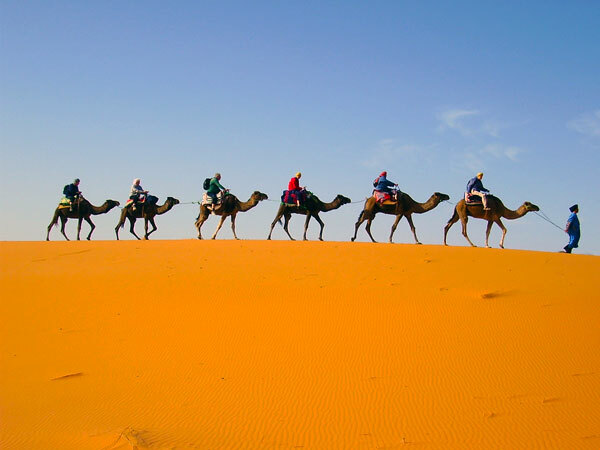 Once you feel sure about taking a trip to Morocco, start to make arrangements for where you will stay as soon as possible, especially if you are coming during high season. If you’re interested in more detailed information, don’t hesitate to contact us with any questions. 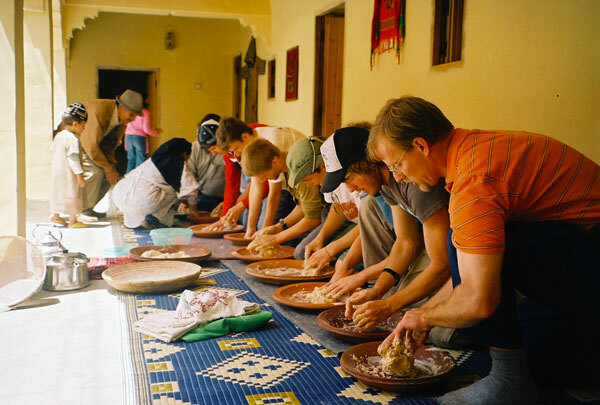 We would be more than happy to answer any questions you have about riads or other aspects of a trip to Morocco. Our team of experts have years of experience with planning the trip of a lifetime to this beautiful country! By working with places that we know well and people that we trust, our recommendations to you have been tested and tried to ensure that you get the best of Morocco. Contact us today!